on my 2009 575 the brake and gear cables run underneath the downtube. on each braze on (x3) there is an open u for a zip tie fixing and next to it another u almost closed with no zip tie slots. I was thinking that the brake hose uses the zip tie and the gear cable goes through the almost closed fixing. 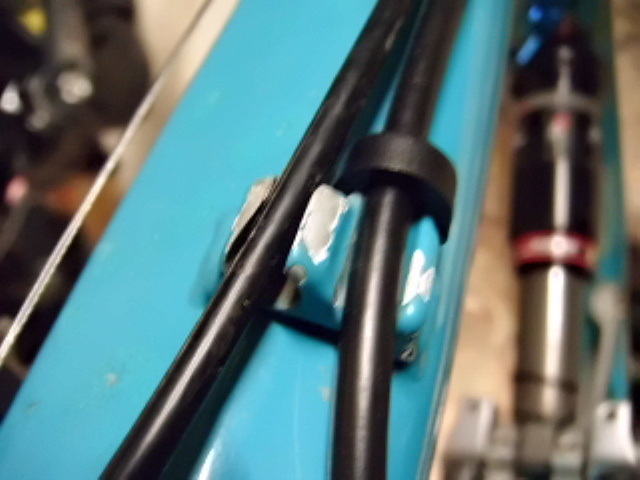 I tried to use a cannondale insert to fix the gear cable in place - but it didnt fit. so on my first ride the cable was insecure and has marked the paint! Do yeti make thier own or is there something on the market fir this? Can do photos if I havent explained it very well. Not *quite* sure what you mean, so pics would help. But meanwhile would the owners manual be of assistance? I have got ythe brake hose clipped in and the gear cable is on the left in the pics above. Ahh, gotcha. 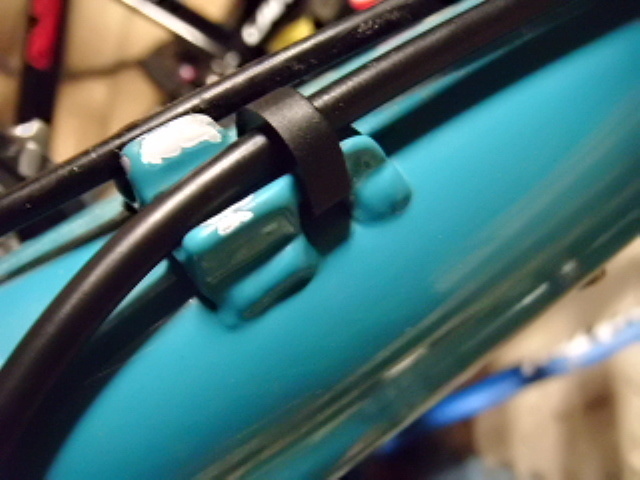 Right, not the bolt on cable-clamp type. Yup, the clip is correct for the brake, for the gear.... it looks like someone has drilled out a stop for a cable-stop, and run full housing. Would a step-down ferrule in this location help? If this stop were meant to take full housing, it'd have the slot in it for the clip or a cable tie. I dont think it can be stops as there are 3 and all the same - surely if it was stops there would only be one at the top and one at the bottom. Not sure what a step down ferrule is, but I figure I could either make my own ferrule or (2) drill it to fit a cable/zip tie. I was hoping for the original parts though to make it neat..